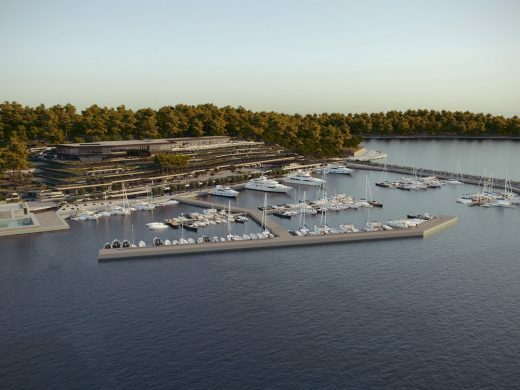 Grand Park Hotel Rovinj is the biggest hotel investment in Croatia in the last few years, worth over 600 million kuna’s (over $90million). 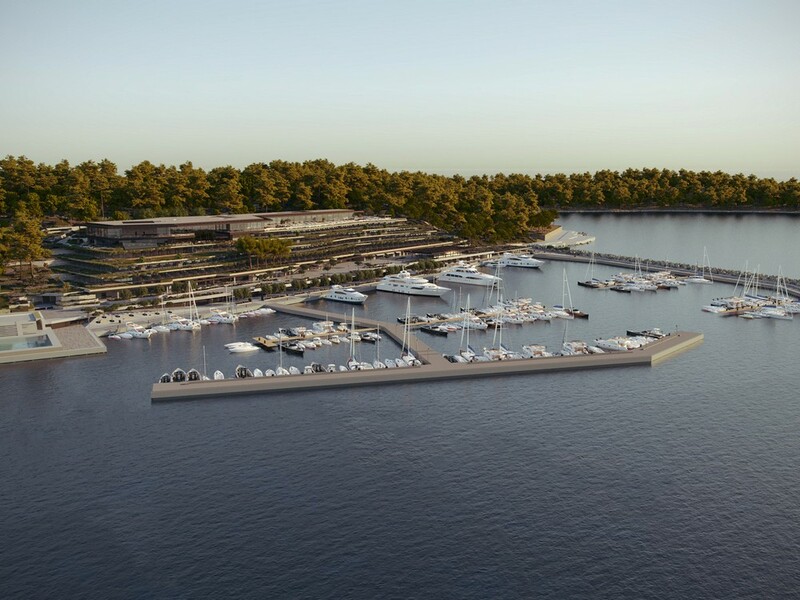 Due to its importance, the project was given the status of a strategic investment project in Republic of Croatia. 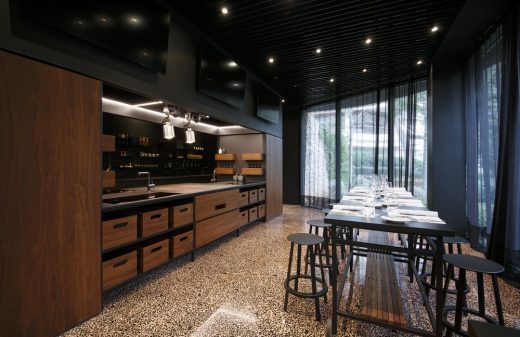 3LHD is the author of architecture, and the interior is designed by the renowned Milan office Lissoni Associati. Opening is planned in April 2019. 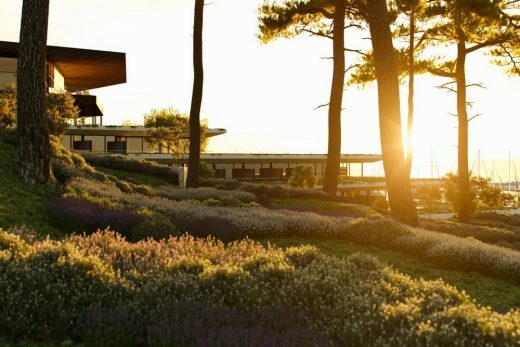 It will be operated by the client Maistra d.d., a hospitality group in Croatia (https://www.maistra.com/collection). 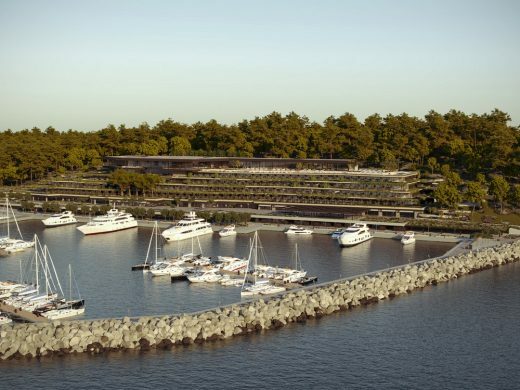 Grand Park Hotel Rovinj is located near the marina, directly on the coast of Rovinj. Along with its content value, one of the site’s main features is a captivating view towards the old town and the island of St. Catherine. 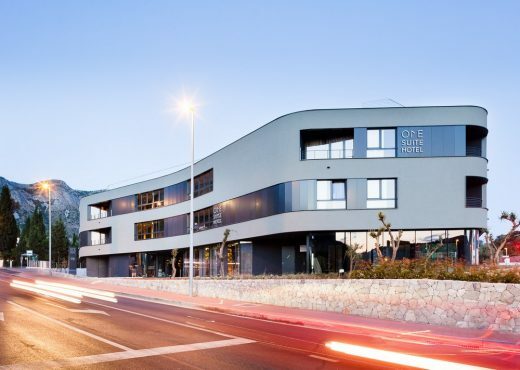 The new Grand Park Hotel is planned as a five star business hotel open all year long, intended for organisation of smaller conferences, meetings and events, and targeted for clients with high expectations and demands. The hotel will have 209 accommodation units collocated on six terraced floors. The building adjusts to the slope of the site by its volume, irregular floor plan and height. The fourth and the fifth floor are completely above ground. They are planned as pavilions with dominant green roofs and deep canopies. Most of the public spaces (main entrance area, restaurants and bars, congress hall, indoor and outdoor pool with wellness) are located here. Besides their mixed content, these two floors differ from the rest by the way of their design and their different relation to the landscape. The remaining floors are spaced both above and under the ground. 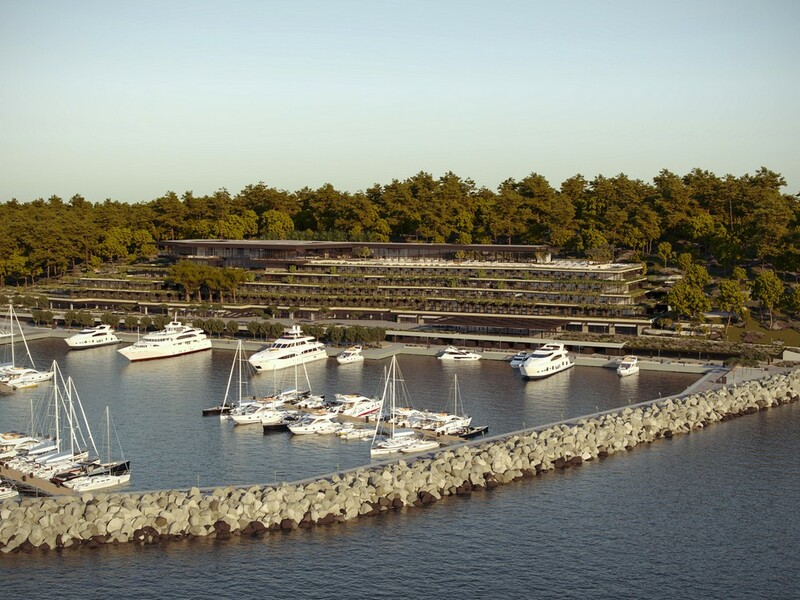 The accommodation units are in the frontal, aboveground areas with a view of the sea and the old town. Service spaces and parking garages are located in the underground areas. 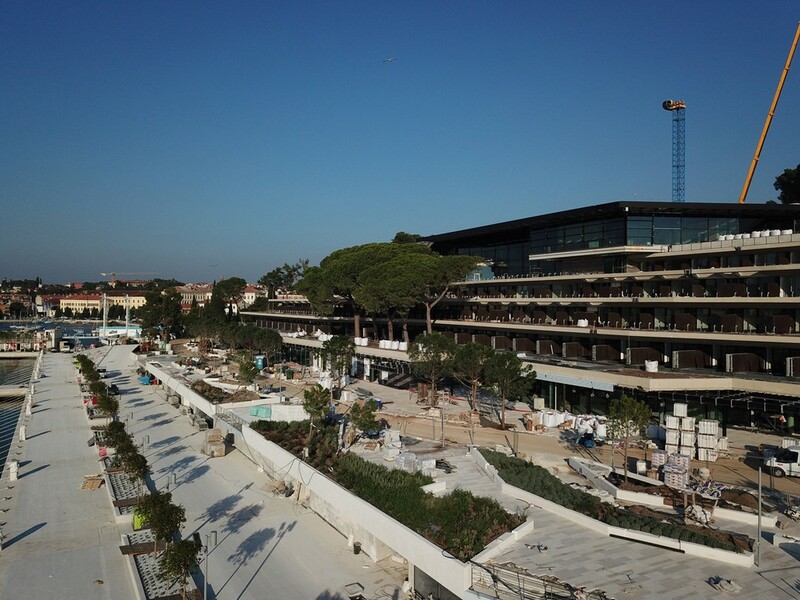 The ground floor – on the promenade and the square in front of the hotel has an additional entrance for guests, commercial and catering/hospitality facilities. The areas alongside the promenade are functionally and formally different from other spaces. They are intended to be a point which connects the old town urban fabric with the tourist and park spaces of the Monte Mulini zone. 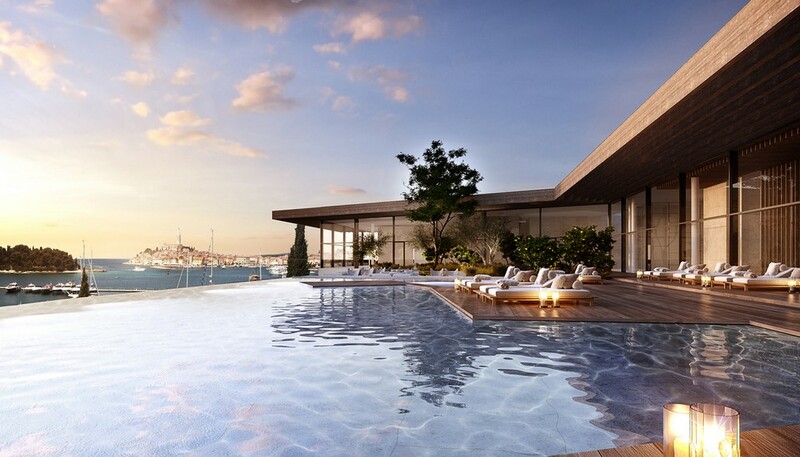 A relaxing atmosphere is created by water surfaces, carefully selected paving and greenery, which frame particular content zones and makes the whole area both attractive and accessible. The landscape design includes a revitalisation of the surrounding greenery and park with around 350 new trees. The multifunctional congress hall is turned in the direction of the St. Euphemia church. 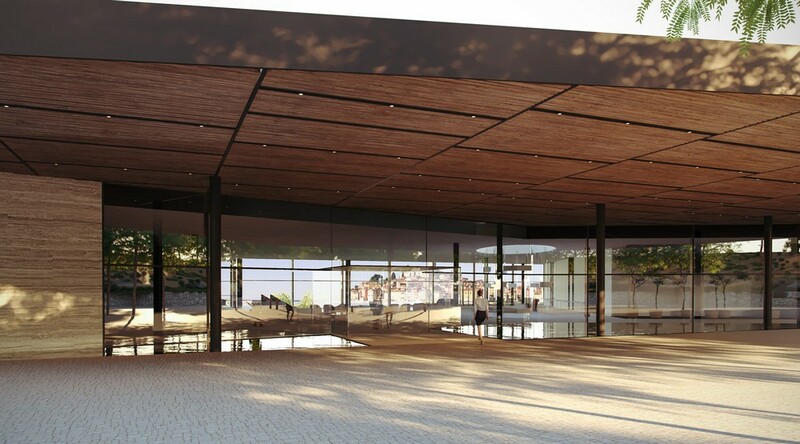 An unobstructed view from the hall will be possible because of a large window – measuring 15×3,2m this is the largest single piece glass that can currently be produced in the EU. The total surface of the glass is 48m2 and it weighs more than 5200kg. Planned construction end date:	01.07.2018. Main contractor: Kamgrad d.o.o., Radnik d.d.